Vince https://sdluxe.wordpress.com I am a native of La Jolla, CA and I still reside here with my wife and two beautiful children. I have been helping clients buy and sell property since 2005. I pride myself in customer service and strive to make the process of buying or selling a stress free process for all of my clients. My first passion is real estate and when I'm not out in the field doing that, you can find me surfing, golfing or snowboarding. LOOKING TO GET OUT & ABOUT? 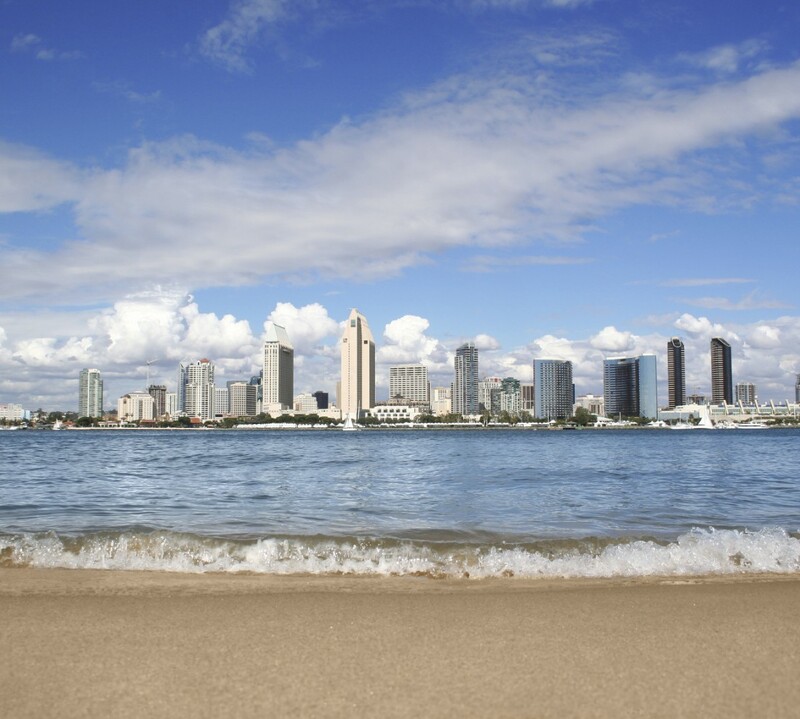 San Diego is such a beautiful place to live and I have made it my mission to provide my clients with the best real estate experience. I have been selling, buying and helping clients invest in real estate since 2005 and I haven’t looked back since. Customer service is my top priority. I listen to what my clients say, I negotiate fearlessly and I help them achieve their goals. People ask me why chose you? or why even chose a real estate agent when there is so much information online. The difference between me and other average real estate agents is; I sell home faster, for more money and make that process as seamless as possible for my client. I look forward to another great year and thank you to my clients for making it all possible. Knowing the health of the local market influences the value of your home. The more you know about the market, the better you understand the value of your home. Learn what your home is worth by clicking here. Real Estate plays an important role in the health of our economy. Knowing the current real estate trends will help you better understand the current economy health. For more market updates and to stay on top of market trends, subscribe to our youtube channel. 2018 has so far been a good year. We have made a few changes to my team but I am happy to say that we are now stronger than ever. The best way for me to describe what you have missed so far is by showing you my most recent videos and if you enjoy my videos then please follow my channel on youtube. As you know I am a native of San Diego and I love my home. It is only fair that I share my love of San Diego with you. Here is what has been going on in the real estate market in the last 3 months. Recently Willis Allen published a blog post about 7 road trip destinations within 5 hours of San Diego; we liked the post so much we thought we’d share it, and include a couple more suggestions! One of the benefits of living in America’s Finest City is the ability to easily go someplace else awesome for a quick getaway. There are numerous hot spots and hidden retreats around SoCal. Here are seven of our favorites that you can get to within a five-hour car ride. The small mountain town of Julian, 50 miles northeast of San Diego, is a Designated Historical District and as American as apple pie (because of all the apples they grow!). Tourists are drawn to its historic mining and frontier-town image. In addition to Julian’s old-fashioned downtown offerings (eating apple pie is a must-do), you can take a mining tour, pick apples at a local orchard (in season), hike the surrounding mountain trails, get a tasting at a winery, visit your first camel dairy, and check on the wolves rehabilitating at the California Wolf Center. Palomar Mountain is most famous as the home of the Palomar Observatory and the Hale Telescope. There are campgrounds for vacationers, as well as day use sites and many hiking trails. The mountain is densely wooded with abundant oak trees, making for a picturesque winding drive up the mountain. Just 120 miles away, a visit to the City of Angels is an easy day trip from San Diego. That means you can mark off all the tourist attractions and really get to know the city, beaches, and hidden gems you won’t learn about in the tour books. An island playground 22 miles south-southwest of L.A., thousands of people visit Catalina Island each year. There are tons of water and outdoor activities to fill a whole weekend, including glass-bottom boat tours, scuba diving, snorkeling, parasailing, jet skiing, golfing, or just relaxing on the beach. Big Bear Lake is Southern California’s largest recreation lake, located 145 miles north of San Diego. During the summer you can fish, hike, camp, kayak, and more. Take a trip during the wintertime, and you can ski or snowboard. Located in the community of Crestline, CA, Lake Gregory Regional Park is tucked in the cedar and pine forest of the San Bernardino Mountains. The lake has 84 surface acres for swimming and water sports and Lake Gregory is a cool respite in the hot summer months. Joshua Tree National Park is a vast protected area in southern California. It’s characterized by rugged rock formations and stark desert landscapes. Named for the region’s twisted, bristled Joshua trees, the park straddles the cactus-dotted Colorado Desert and the Mojave Desert, which is higher and cooler. Keys View looks out over the Coachella Valley. Hiking trails weave through the boulders of Hidden Valley. Considered the Danish capitol of the America, Solvang (which means “sunny field” in Danish), is a unique getaway in a charming Old World setting. Hop aboard the horse-drawn trolley with a pastry in hand. Then, bike the rest of the way through downtown to work it off before visiting a few of the 120 wineries and vineyards in the area. If the glow of the strip and the thrill of casinos aren’t up your alley, there is so much more to do in Vegas than you may realize. Check out this bucket list that includes Red Rock, Hoover Dam, and the Colorado River, among other activities. One of the fastest growing cities in the nation, we’re including Phoenix despite the extra 30 minutes over our driving time limit. With beautiful winter weather, there are plenty of outdoor activities year-round. Favorites include hiking to top of Camelback Mountain and golfing, as well as a surprising number of arts and cultural attractions.